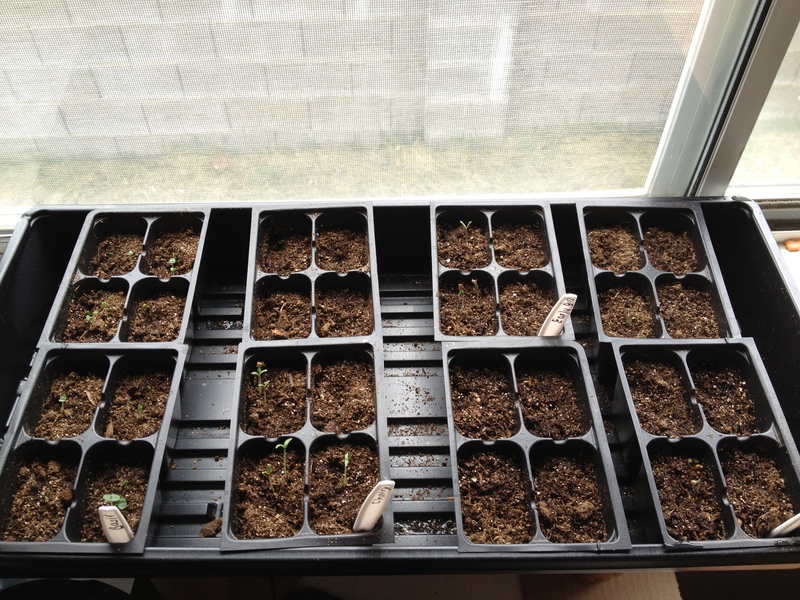 Home / gardening / My seedlings are up! I saw my first basil seedlings yesterday morning and this morning, I’ve seen my tomatoes! The next step is to put them under some grow lights. I was looking around for a shop light for this purpose, but then Vladimir reminded me that he already had some for our garage studio (yes, we’ve made movies in our garage, with a green screen). The new seedlings. I think the ones that have been mostly closest to the windows have been colder. They're barely peeking out. Those first leaves aren't true leaves, but the embryo leaves from the seed. Pretty cool! Tomorrow I’ll hang up a light over them. I understand that the lights should be about 2 inches above the leaves. So I should have the light hung on a chain which I can gradually raise as the plants grow. In other news, I now have a homemade compost bin. I used hardware cloth (wire fence, about 1/2 inch grid), 3′ x 10′. 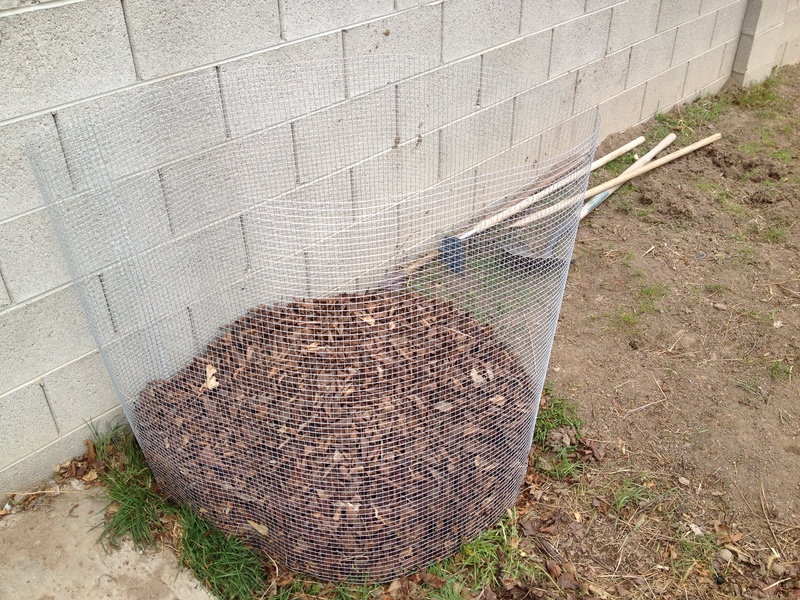 A good compost pile/bin needs to be 3′ x 3′ x 3′ (a bit more than a meter squared) in to decompose properly. You’ll want to bend the poking wires back, for safety. It comes in a roll, kept that wire by some wire wrapped around it. Very convenient because then you can use that wire for ties to connect the edges. At first, I put the ends together with the curve going with the roll. I ended up with a heart shape without the pointy end. So I undid it, and put it together going against the natural curve created by the roll. It’s not a beautiful, perfect circle but it does the job. It’s cheap, light, keeps the pile together neatly, and has good aeration. My newest garden tool, already working on some leaves and rotten apples. The leaves are pretty dry, so I also added a bit of water between layers. It’s surprising how many leaves it took just to fill it up that much. There is a lot more where that came from though. A good thing leaves are very light. I am so happy that even the the stuff my yard produces will no longer simply leave in the garbage bin, but will be recycled into the land and go to sustaining the garden and us.